Thank you, Miami! 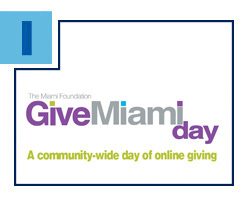 Because of your generous donations, the Greater Miami Jewish Federation topped the leaderboard with a total of $476,000 in donations on Give Miami Day. Every Federation-designated donation between $25 and $10,000 made yesterday also resulted in a bonus gift for our organization from The Miami Foundation. All dollars raised will go to the Annual Federation/UJA Campaign, funding more than 100 programs and agencies that serve Jewish needs in Miami, in Israel and in more than 70 other countries worldwide. If you missed your chance to donate yesterday, please consider making a contribution to the Annual Campaign here. Students at Florida International University (FIU) now have a dedicated Hillel to call their own, thanks to your ongoing support of the Annual Federation/UJA Campaign. The 1,000-square-foot space will provide opportunities for young adults to engage in programs steeped in Jewish values, including volunteering, leadership development, social events and more. Hillel at FIU is one of seven Federation-backed Hillels in the state, which also include Central Florida Hillel, Hillel at Florida State University, Hillel of Broward and Palm Beach, Hillels of the Florida Suncoast, University of Florida Hillel and University of Miami Hillel. In addition to three Miami-Dade County Jewish community centers, your donations to the Annual Federation/UJA Campaign support JCCs around the world, including Kiev’s brand-new Halom JCC. Through our overseas partner agency, the American Jewish Joint Distribution Committee (JDC), Federation is helping to revitalize Jewish life across Ukraine by bringing many of Kiev’s Jews together to create a self-sustaining Jewish community. 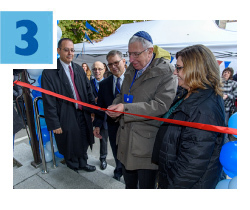 Since opening its doors two months ago, the JCC, a hub for Jewish cultural, educational, community and social service programs and activities, has already welcomed 500 guests. Read more. 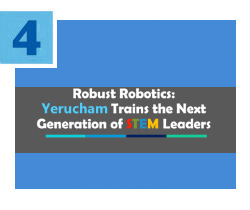 Federation was nationally recognized for our innovative Miami-Yerucham partnership and its far-reaching success earlier this week, at The Jewish Federations of North America (JFNA) General Assembly in Washington, D.C. Federation Board member and Chair of the Miami-Yerucham Partnership, Stanley Weinstein, presented a “Fedovation” entitled Robust Robotics: Yerucham Trains the Next Generation of STEM Leaders. He discussed our partnership with the Israeli city’s award-winning robotics program, which has been replicated in other Negev communities. Every year, Federation’s Tzedakah Fund provides emergency assistance to Jews in Miami, helping with everything from basic necessities to indigent burials and more. 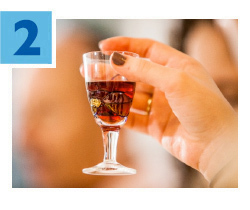 If you are looking for a meaningful way to honor the memory of someone special, send get-well wishes or celebrate a simcha, consider purchasing a Tzedakah Fund card. For a contribution of $18 or more, a beautiful tribute card will be sent inscribed with your personal message. 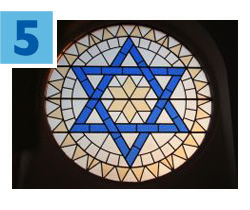 To contribute to the Tzedakah Fund, click here.